Special counsel Robert Mueller's investigation was star-crossed from the start. His friend and successor as FBI director, James Comey, by his own admission prompted the investigation -- with the deliberate leaking of classified memos about his conversations with President Donald Trump to the press. Mueller then unnecessarily stocked his team with what the press called his "dream team" of mostly Democratic partisans. One had defended a Hillary Clinton employee. Another had defended the Clinton Foundation. 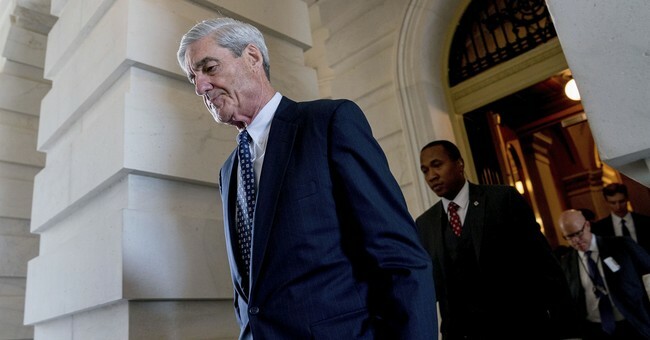 Mueller did not at first announce to the press why he had dismissed Trump-hating FBI operatives Lisa Page and Peter Strozk from his investigative team. Instead, he staggered their departures to leave the impression they were routine reassignments. But Mueller's greatest problem was his original mandate to discover whether Trump colluded with the Russians in 2016 to tilt the election in his favor. After 15 months, Mueller has indicted a number of Trump associates, but on charges having nothing to do with Russian collusion. They faced inordinately long prison sentences unless they "flipped" and testified against Trump. We are left with the impression that Mueller cannot find much to do with his original mandate of unearthing Russian collusion, but he still thinks Trump is guilty of something. In other words, Mueller has reversed the proper order of jurisprudence. Instead of presuming Trump innocent unless he finds evidence of Russian collusion, Mueller started with the assumption that the reckless raconteur Trump surely must be guilty of some lawbreaking. Thus, it is Mueller's job to hunt for past crimes to prove it. While Mueller so far has not found Trump involved in collusion with foreign citizens to warp a campaign, there is evidence that others most surely were colluding -- but are not of interest to Mueller. A spy on the federal payroll was implanted into the Trump campaign. Hillary Clinton's campaign team paid for research done by a former British intelligence officer working with Russian sources to compile a dossier on Trump. Clinton hid her investment in Christopher Steele's dossier by using intermediaries such as the Perkins Coie law firm and Fusion GPS to wipe away her fingerprints. No president has ever faced impeachment for supposed wrongdoing alleged to have taken place before he took office -- not Andrew Johnson, not Richard Nixon, and not even Bill Clinton, who lied about his liaisons with Monica Lewinsky in the Oval Office. With the effort to go back years, if not decades, into Trump's business and personal life, we are now in unchartered territory. The argument is not that Trump committed crimes while president -- indeed, his record at home and abroad is winning praise. The allegations are instead about what he may have done as a private citizen, and whether it could have reversed the 2016 election. The only way to clear up this messy saga is for Trump to immediately declassify all documents -- without redactions -- relating to the Mueller investigation, the FISA court warrants, the Clinton email investigation, and CIA and FBI involvement with the dossier and the use of informants.